Home confinement also known as Supervised Electronic Confinement (SEC) or Electronic Monitoring is an alternative to jail in Orange County as well as other counties in California. If an individual must serve time for an offense home confinement is the least intrusive, least troublesome method of satisfying the court. Home confinement usually consists of having a device placed on your leg near your ankle. It is normally about the size of a wallet and it is invisible as long as the person wears pants. However, some home confinement systems use a device that has the same size and appearance of a wrist watch. Regardless, they all work the same way using a satellite based system to monitor the individual 24 hours a day 7 days week. Often times, the individual must pay to use this jail alternative even if the court orders the person to serve their time with home confinement. However, if the home confinement is provided by the municipality the price may be adjusted in consideration of the person’s income. Home confinement was initially created as a way of "incarcerating" people too sick to serve their time or otherwise disabled. The idea being that it would be overly difficult for the jail to care for the person medically and might put the person’s life at risk. More recently, the main reason counties permit home confinement is because of costs. It is very expensive to house someone in county jail and in an effort to reduce costs and avoid overcrowding which can lead to violence in the jail and law suits, many county judges began resorting to home confinement as a cost effective measure. Generally, your lawyer must request permission for you to be permitted to serve your time on home confinement. It is usually the judge who must grant permission. Often times the judge permits home confinement over the objection of the District Attorney. Notably, some courts in Orange County permit home confinement more readily then others; also, a particular judge may allow home confinement while another in the same court house may be opposed to it. Mr. Bruzzo's experience with the courts and the judges in Orange County has permitted him to learn who is friendly to home confinement and who is not. This knowledge has been very beneficial to Mr. Bruzzo's clients. For some courts as long as the Judge does not indicate on the plea forms that home confinement is not permitted, then the person may apply. If you are applying for home confinement through the county, the county must determine your suitability. Sometimes persons with failures to appear on their record or a history of violence may be deemed unsuitable. However, in practice none of these things are an absolute bar. In addition to different systems (ankle device, wrist device) there are also different providers. In Orange County it is best to go through the Department of Probation who contract out the actual confinement system. This is the cheapest way to go about it as you will be billed based on your income. However, if you are not approved by the Department of Probation you may still be able to serve home confinement using private companies who provide the device and monitor the individual for a fee. This of course requires court authorization. Second time Drunk Driving cases are the most common case where home confinement is permitted. However, some Judges do not permit it for this type of offense. That is why it is important to know the Judges. 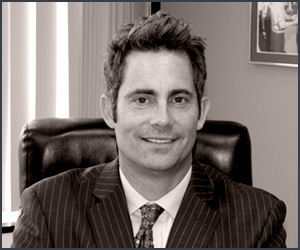 Mr. Bruzzo has successfully got home confinement for many second time drunk driving cases. For third time Drunk Driving cases home confinement is usually not permitted but there are exceptions. For cases of drug sales, violence or weapon offenses home confinement may not be permitted barring an exceptional reason and a skillful lawyer. Theft offenses are usually conducive to home confinement. Notably, Mr. Bruzzo did get home confinement for a client charged with a weapons offense. Home confinement does not apply to state prison sentences.